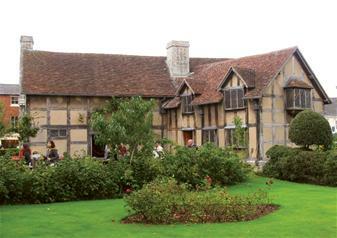 Shakespeare's Birthplace: William Shakespeare grew up in these rooms. He played here, ate here, slept here and dreamed here and they have been welcoming visitors to the birthplace of the world famous 'Bard' for 250 years! 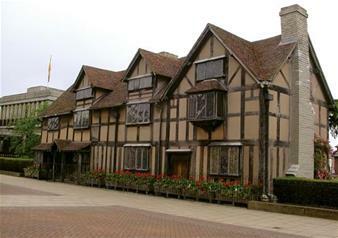 Shakespeare also spent the first years of his married life with Anne Hathaway in this house. For millions of enthusiasts worldwide, this house is a shrine to the world's most famous literary giant. You will discover and explore the inner world that shaped the great man and you'll see what other famous writers including Charles Dickens, John Keats, Walter Scott and Thomas Hardy thought when they visited here. The birthplace of William Shakespeare's is a truly fascinating property that offers a tantalising glimpse into the early world of the greatest writer who has ever lived.